Concluding months of national media attention that was at turns scornful and mocking, celebratory and indulgent, the UChicago Conference on “Jersey Shore” Studies finally made good on its promise last Friday to unite the likes of Foucault, Plato, and Snooki under one roof. The day-long conference, brainchild of fourth-year David Showalter, sought to expose a reality show centered on clubbing, hair gel, and tanning beds to the serious lens of academia. The novelty of the conference became the fodder of late-night talk show hosts, and gained attention from several media outlets, including The New York Times, Gawker, and The Huffington Post. “People love high culture–low culture things,” Showalter said. Showalter, a tutorial studies major, said that paper submissions for the conference soared after Gawker’s Brian Moylan, one of Friday’s keynote speakers, wrote a piece supporting the project in May. Showalter received about 50 submissions for talks, and selected approximately half of the proposals to include in the conference. The conference was supported by $2,580 from the Uncommon Fund, $2,000 from the Dean’s Fund, and $250 from the Center for the Study of Gender and Sexuality. Showalter said that approximately 400 people pre-registered for the conference, and that several hundred more attended the different sessions throughout the day. Late-night talk show host Jimmy Kimmel turned the conference into a punchline in September, and questioned the academic value of studying the show. “The University of Chicago is hosting an academic conference called ‘Jersey Shore’ Studies.’ Meanwhile in Korea, students are learning something called ‘math,’” Kimmel said. Showalter brushed off Kimmel’s attempt to make fun of the conference. “I’m happy to provide a night’s worth of monologue,” he said. Looking beyond Friday’s conference, Showalter said he hopes to inspire other students to organize similar conferences and pursue projects that bring an academic focus to pop culture phenomena. He added that he hopes to have the work from the conference published or reproduced in some way. With the show’s fourth season having just concluded, Showalter, a self-described “nerd,” said that the conference has only deepened his passion for The Situation and the mantra of gym-tan-laundry (known endearingly among fans as “GTL”). “I’m still watching and thinking about ‘Jersey Shore’,” he said. 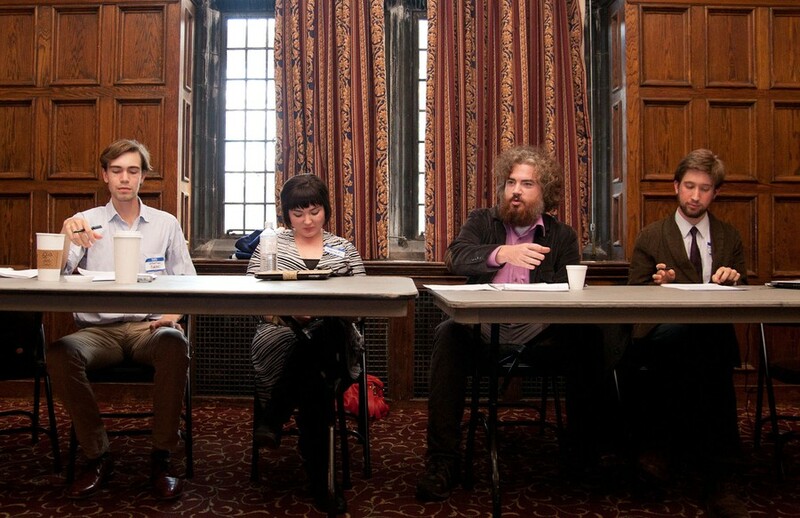 This article is part of our full coverage on the UChicago Conference on “Jersey Shore” Studies.